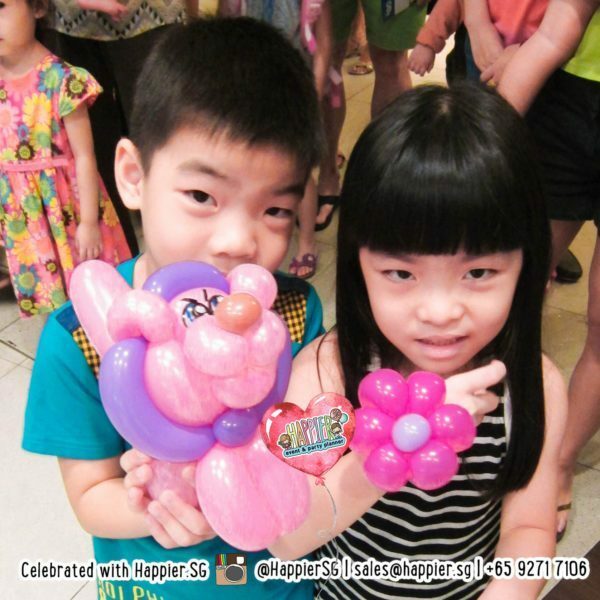 Balloon sculpting is a hot favourite for kids birthday parties! 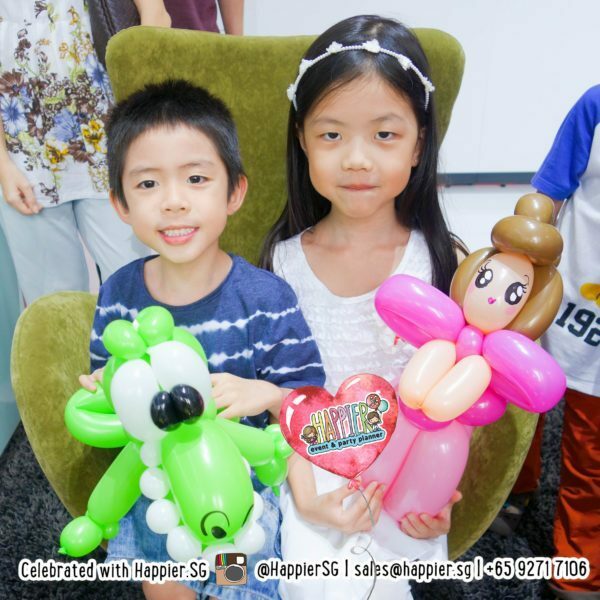 Our professional balloon sculptors not only keep the kids entertained during the party, everyone goes home with a balloon gift so it doubles up as party favours! 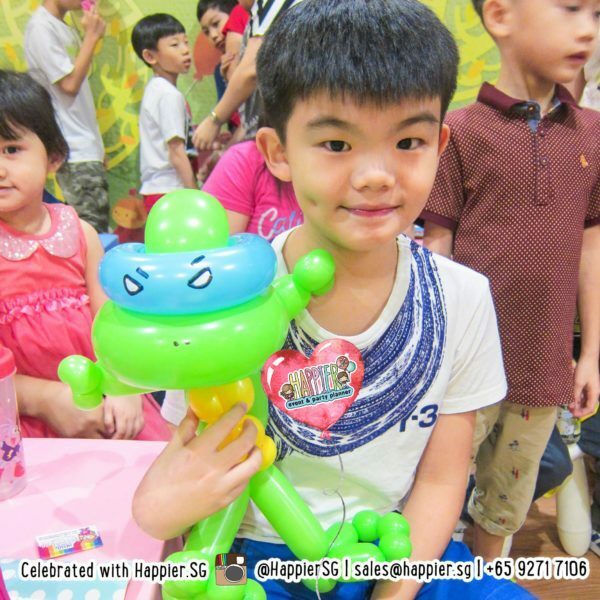 Our playful balloon sculpting designs are perfect for parties with more than 15 kids where you will appreciate a faster turnaround time. Keeping the designs fun and simple also help us stick to the party schedule you have booked. Playful designs include flowers, princess wands, superhero weapons, bunnies, dogs and bears. The number of children is not a hard and fast rule for us. 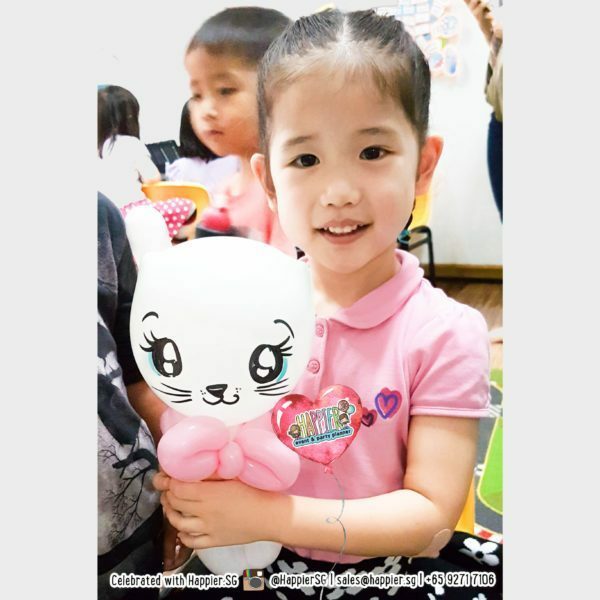 If it’s end time and there is still 1 more child left, we will gladly oblige to see that happy smile. 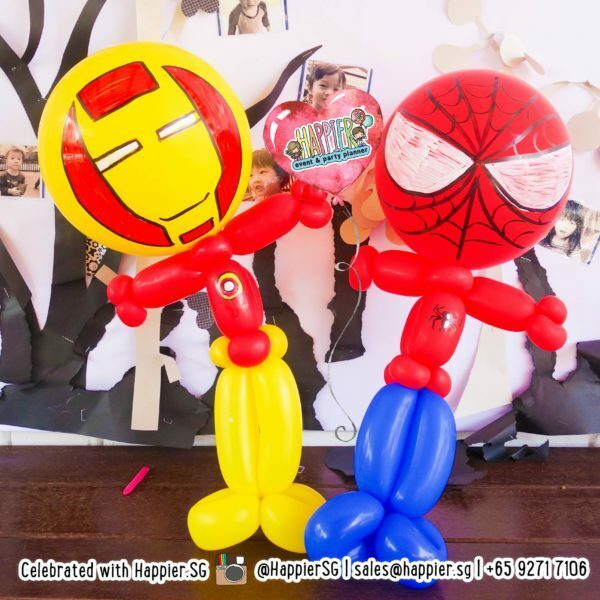 Our elaborate balloon sculpting designs are ideal for more intimate party settings where we can afford to fascinate each guest. At parties, we aim to not just to twist, but also to entertain! 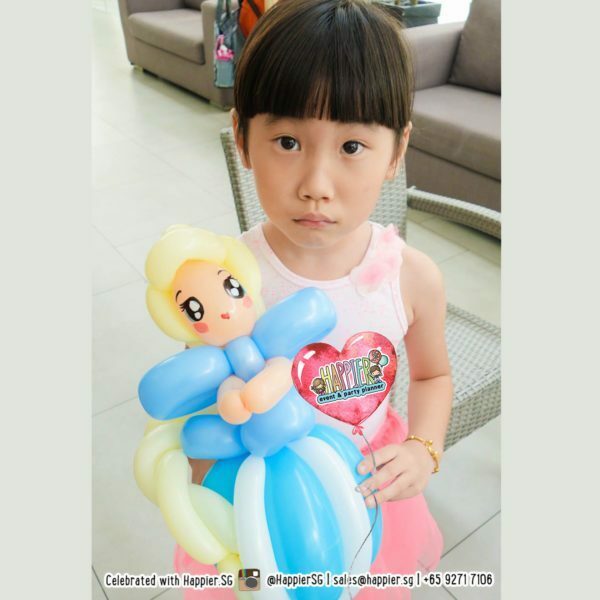 So if you’d like our balloon sculptor to engage more with each child in selecting their favourite color or even directing us to twist their favourite princesses, superheroes, ponies, hello kitty, minions, pokemon, cars or safari animals, you can expect to cover about 8 to 12 kids per hour. 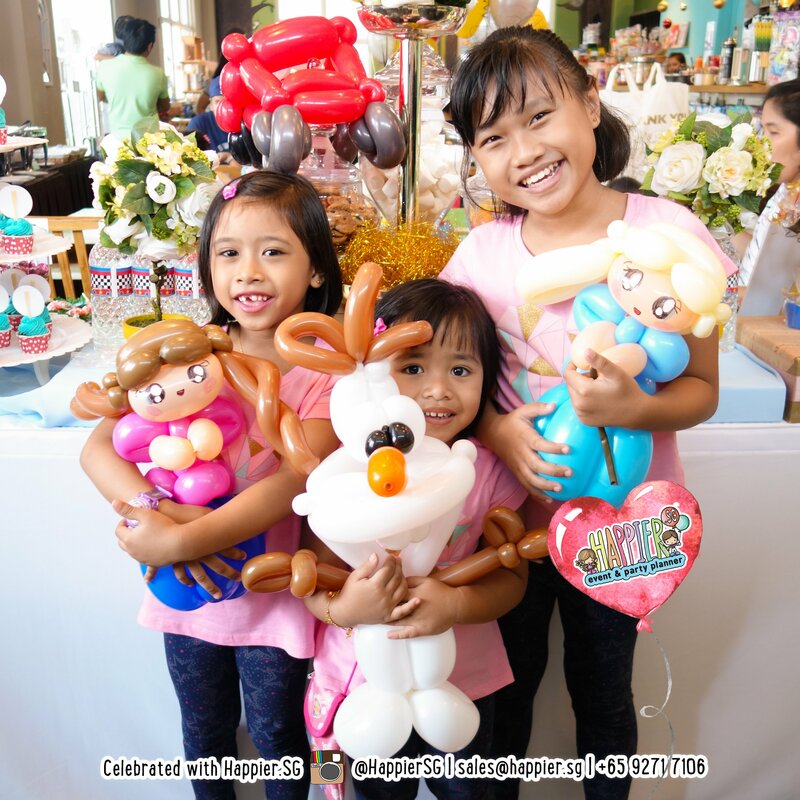 If you wish for our balloon sculptor to offer both types of balloon sculptures at your party, you might be happy to know that we do entertain on-the-spot extension purchases should our party schedule for the day permit. 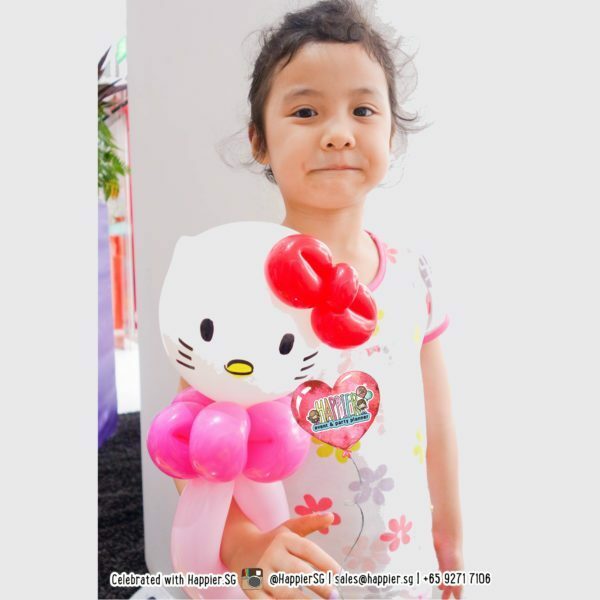 It is quite likely most of your guests will be asking for our elaborate designs the moment they lay their eyes on our adorable balloons! 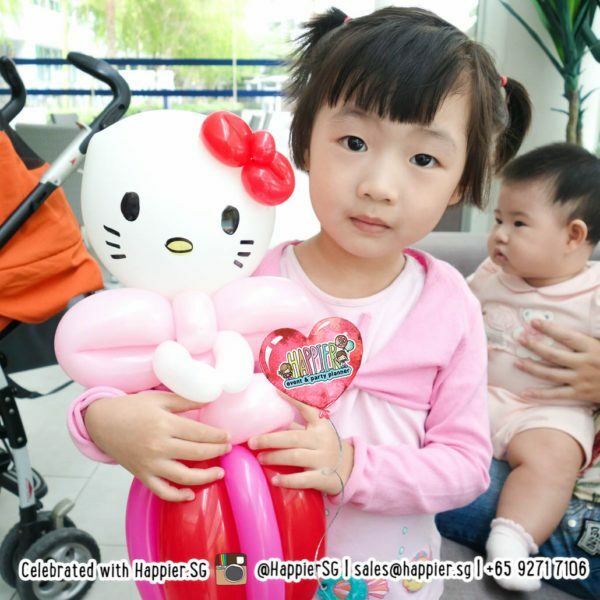 Can your balloon sculptor arrange something special for the birthday child? If you are booking our elaborate balloon sculpting service, we can arrange our balloon sculptors to have at the top of their minds an exclusive design specially for the birthday child. 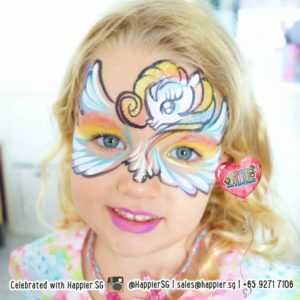 Your child will be the only special one to receive that design for the party. 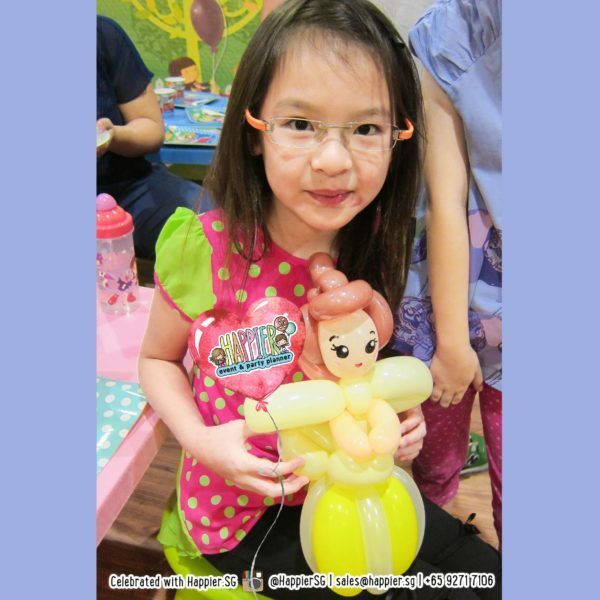 How do you charge for balloon sculpting? 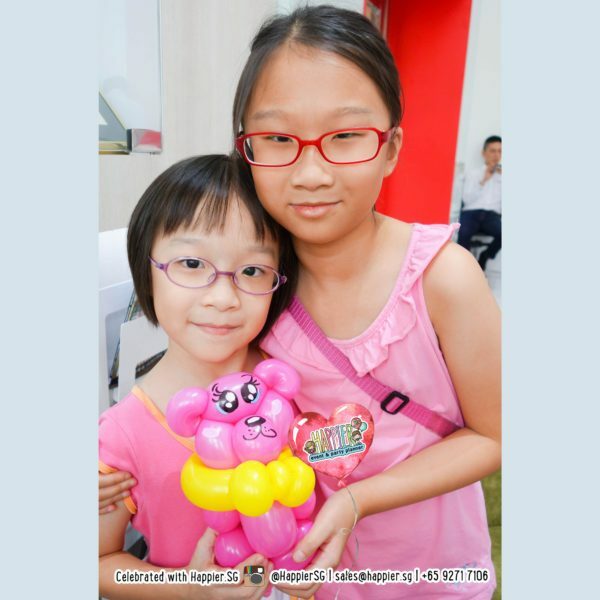 What age range is your balloon sculpting suited for? 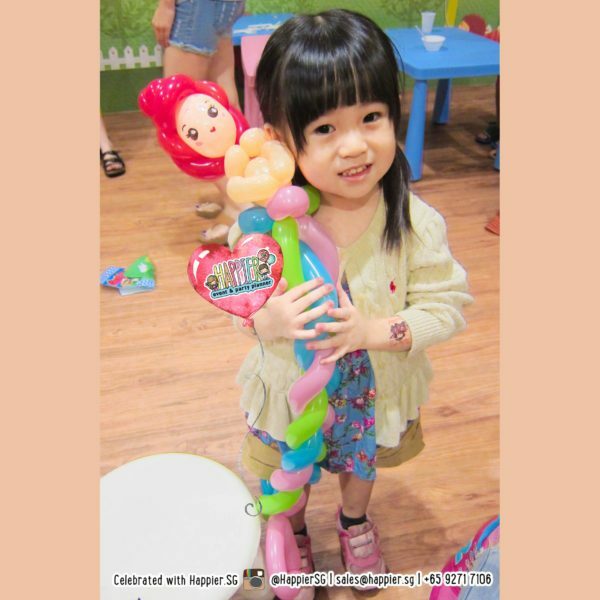 Balloon sculpting is best suited for ages 2 and up. We generally do not recommend giving balloons to infants as it often goes straight into their mouths and can cause a shock if it pops. Can your balloon sculptor also entertain adults? 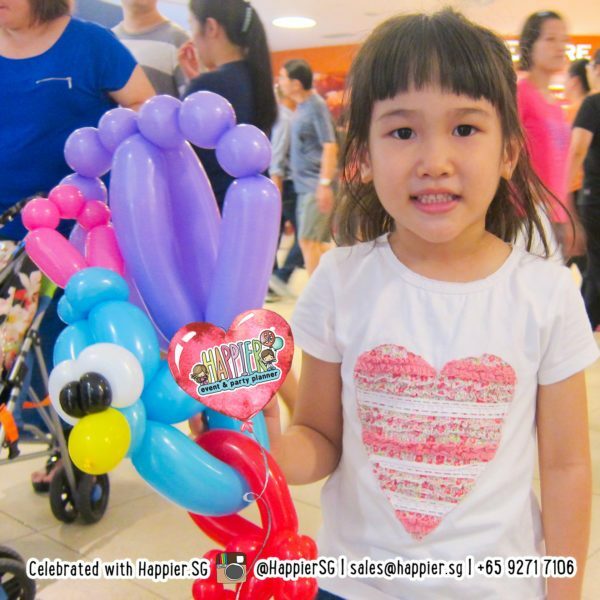 It is quite intriguing for adults to watch our elaborate balloon sculptures made on the spot too. 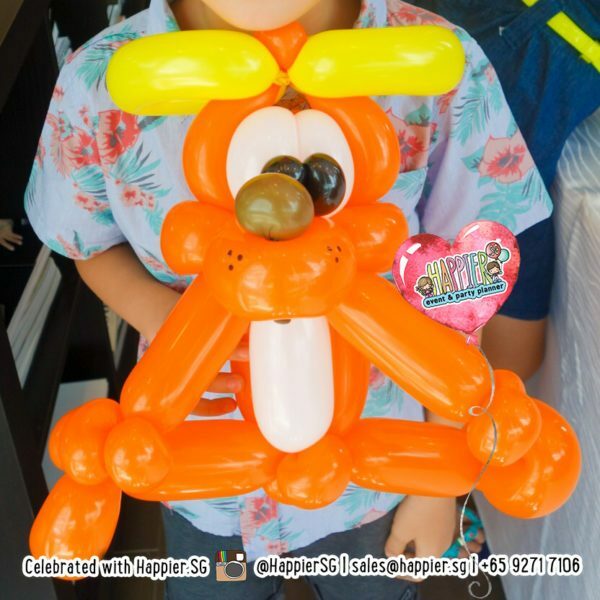 Our professional balloon sculptors can try turning your VIP guest into a balloon sculpture of himself/herself if you like! All in the name of fun! What if I have a time constraint of 1 hour but I have too many kids? 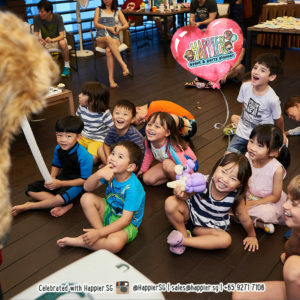 You may face a situation like this when organising a preschool party, or if you had already filled up your party schedule with other activities. In such a case, you may wish to preorder some balloon sculptures. 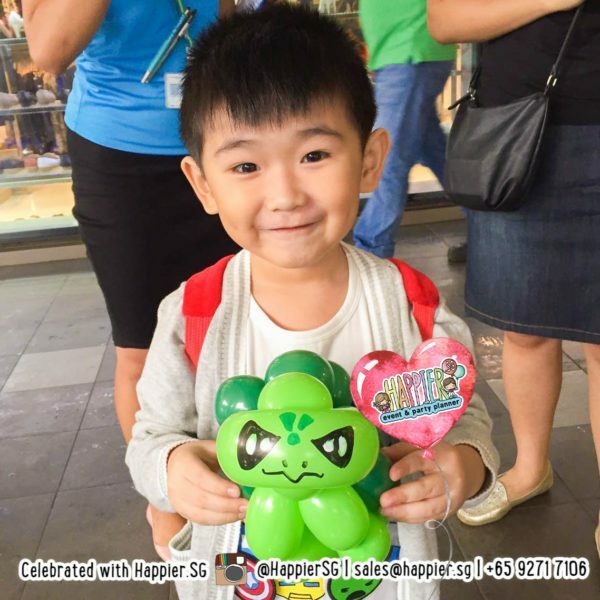 These preorder balloon sculptures are charged based on our extension rates. In other words, once you let us know the designs you want, we will calculate the estimated time it would take the balloon sculptor to make the pre-order balloon sculptures and bill you as a pro rated extension. 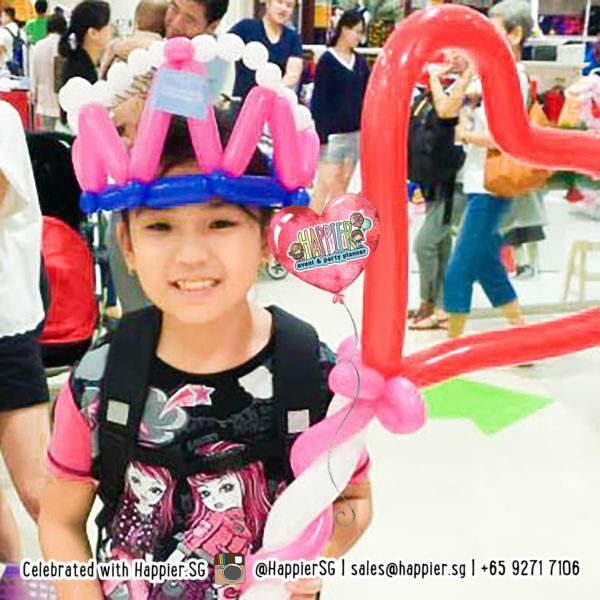 Do your balloon sculptors dress up? 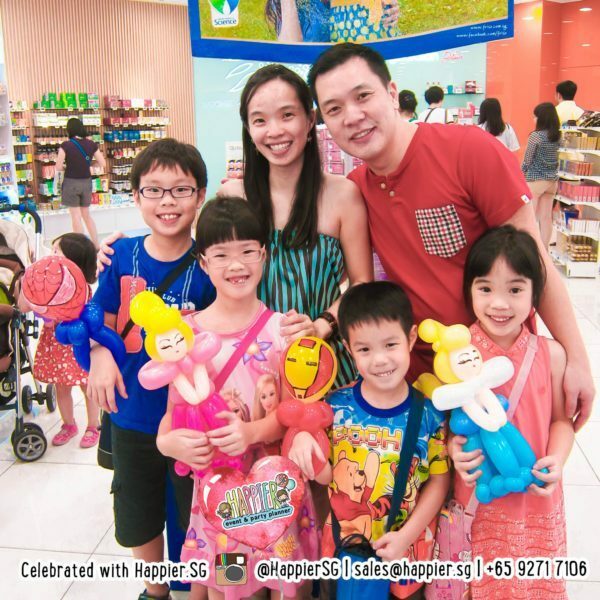 Our balloon sculptors usually come in kids-friendly happy-looking clothes. If you would prefer us to come dressed as a superhero, princess or mermaid, let our party planners know and we will see what we can arrange. 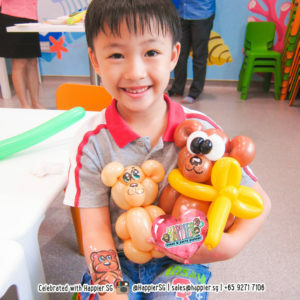 What do I need to prepare for balloon sculpting? 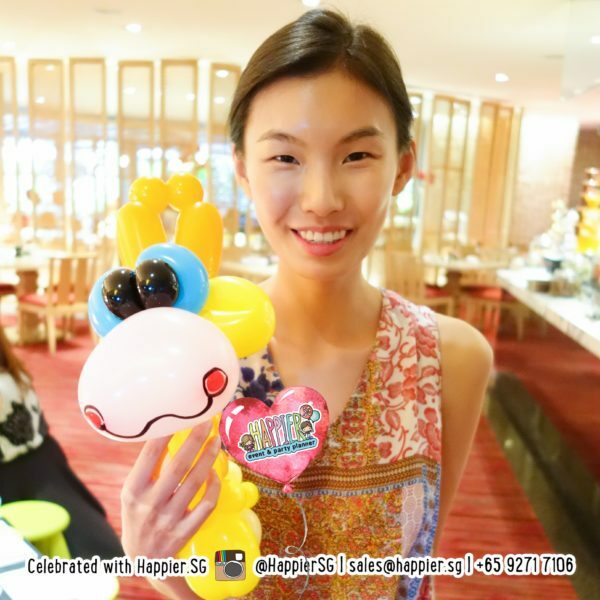 Please set aside 1 table and 2 chairs for your balloon sculpting booth. If you have a few more chairs to spare, you can even let 3 to 4 kids be seated around your balloon sculptor so that they can watch in comfort. How long in advance do we have to book your balloon sculpting? 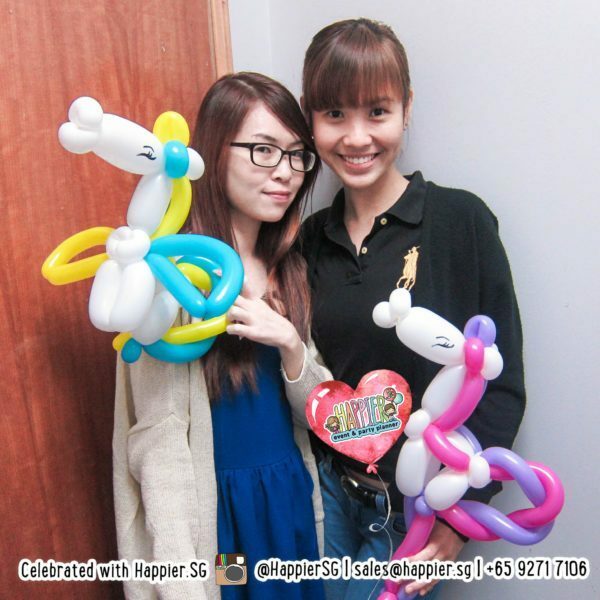 What if I have yet to finalise my party but I am really keen to book your balloon sculptor? Nothing announces a fun party like balloons do. There’s just something about balloon sculpting that is makes it so captivating and entertaining to watch. 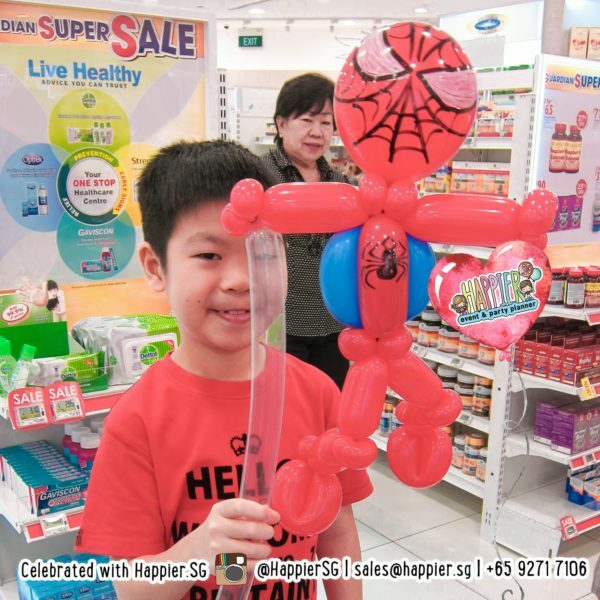 Balloon sculpting works like a charm at every party, keeping your guests enthralled while giving everyone a memorable gift to bring home. 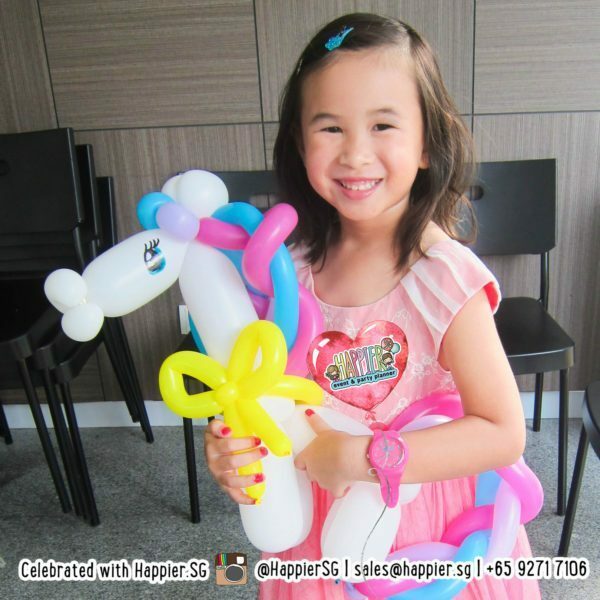 Balloon twisting is one of our customers’ top picks for kids birthday parties in Singapore. 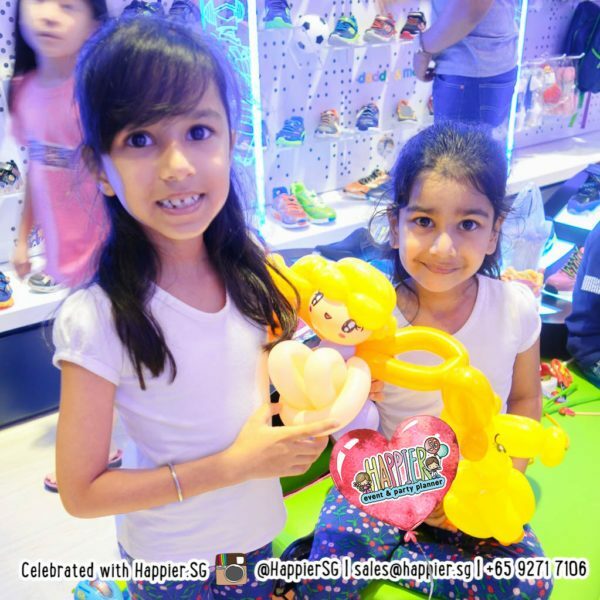 Our balloon sculptors love keeping you on the edge of your seats as you watch us turn our skinny balloons into irresistably adorable sculptures. 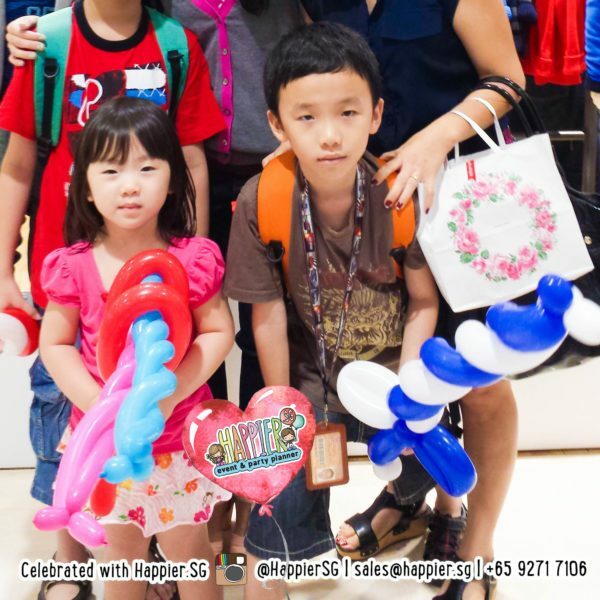 Seeing the looks of wonderment on the faces of your children just makes our job so much more rewarding! 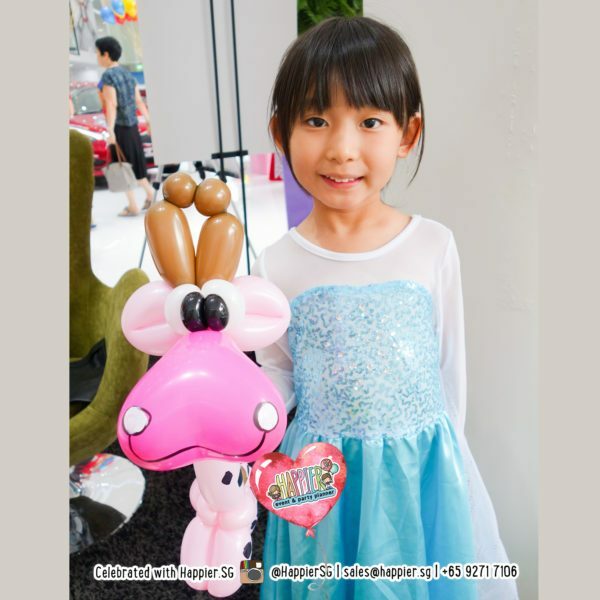 Dogs, bears, bunnies, superhero weapons, fairy wands and flowers are some of the playful designs frequently requested from our balloon artists. 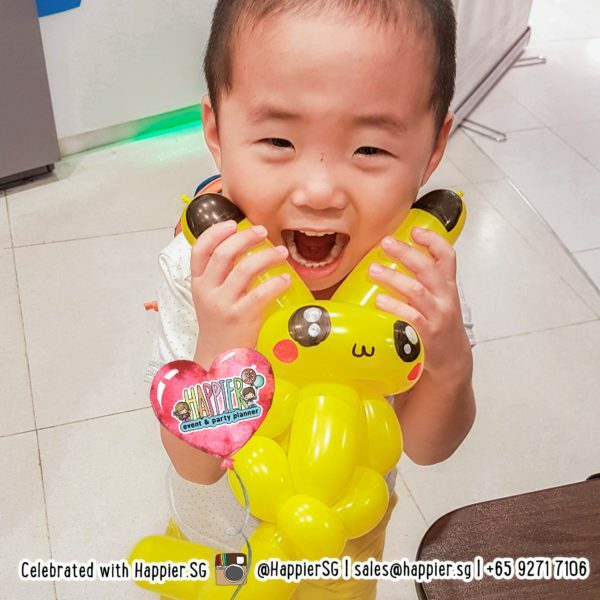 If time permits, our balloon sculptors will be more than happy to give more personal attention to each child, indulging in his or her more imaginative and elaborate requests such as their favourite Pokémon, unicorns & princesses! 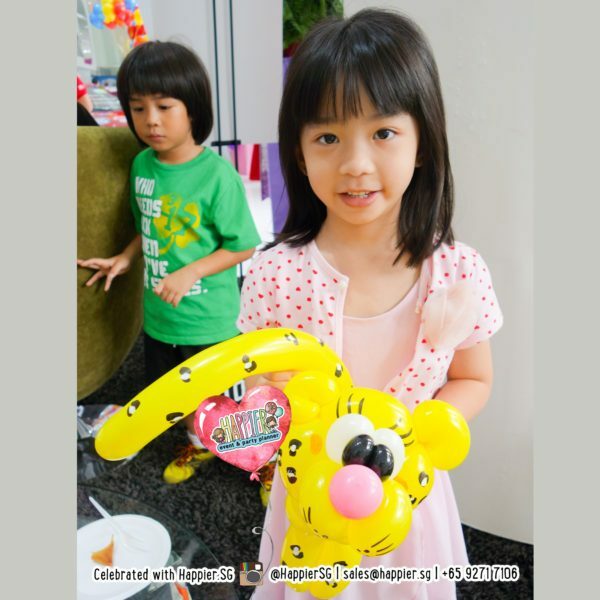 Our playful balloon sculpting and twisting services work best at events or birthday parties with more than 15 children. 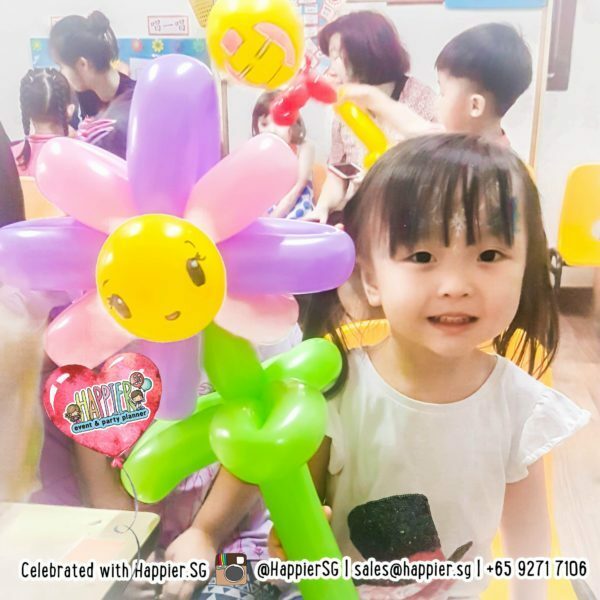 You will appreciate the quicker turnaround time for each balloon sculpture, which will allows our balloon sculptors to wow and entertain more children. 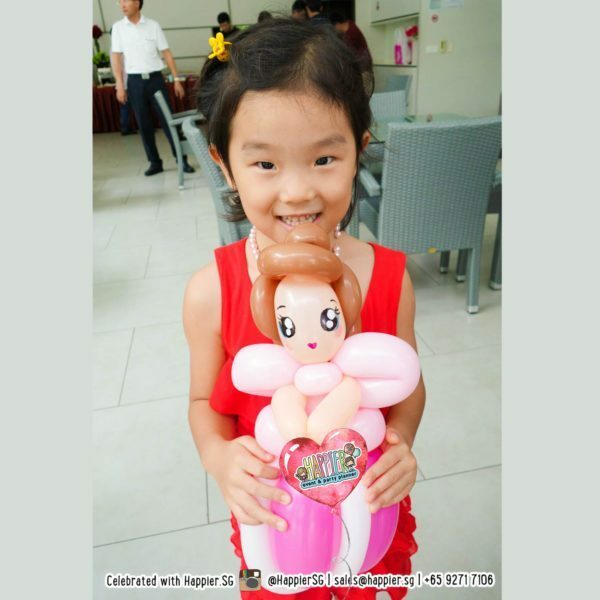 A successful party for us is one where every child gets the chance to go home with a balloon sculpture in hand. 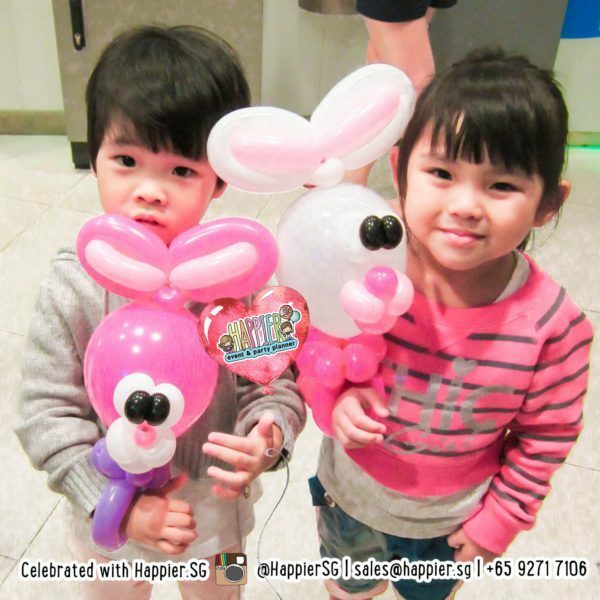 For more exclusive parties, our elaborate balloon sculpting services are ideal more creative and personalised balloon sculptures to bring home. Have a go at picking your princesses’s gown color or decide if your lion shall be a hungry or happy one! 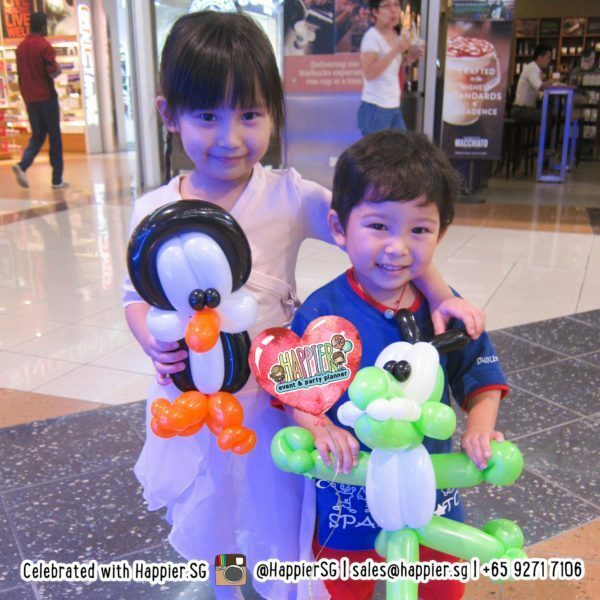 Our balloon artists can give each child more attention to bring their wildest imagination to life. 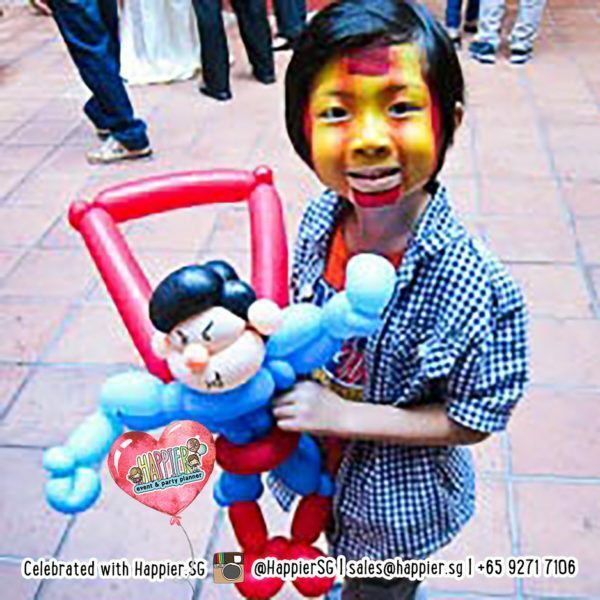 From start to end, our balloon artists will have your child amazed, entertained and the proud owner of their very own balloon creation. Even for adults, watching a balloon sculptor weave his or her magic with sculpting balloons is still a sight to behold. Our balloon artists can even attempt to make a cheeky, life-like figure of the VIP guest at your corporate event. 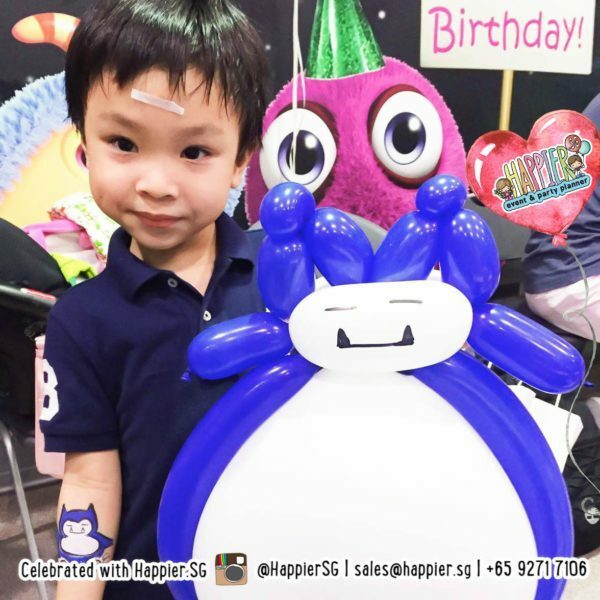 To book our balloon sculpting service for your next party, just let us know at least 2 weeks in advance on your party date, time & venue. 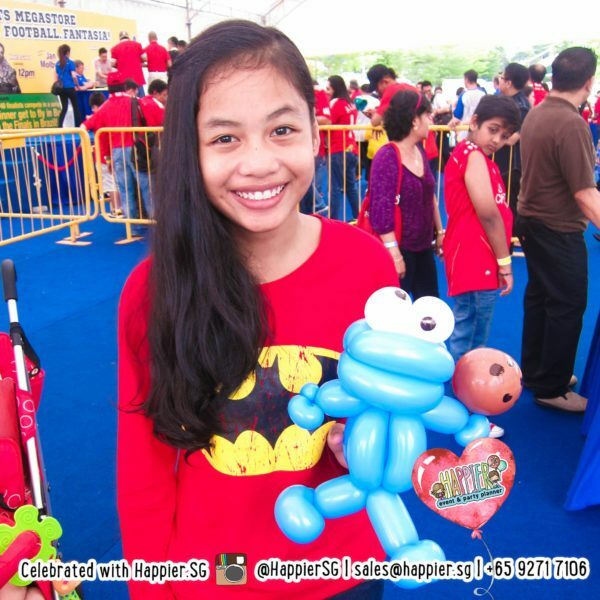 Set aside a table and a few chairs for the balloon sculpting booth or go for the roving artist option. We’ll let you know the price and work out the rest of your event details. 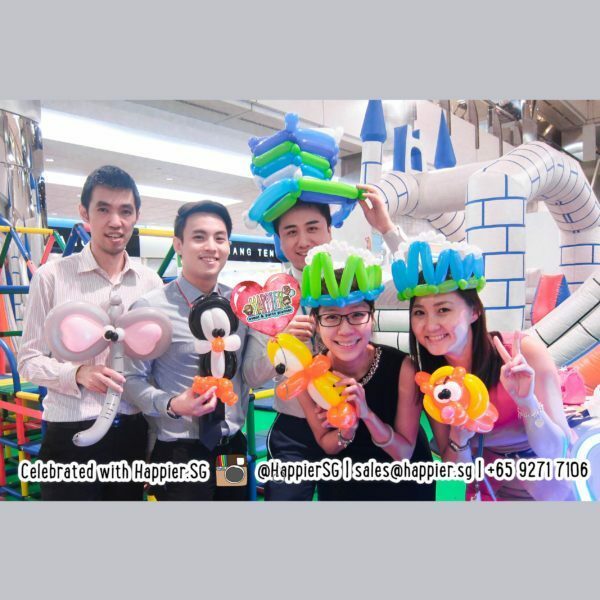 If you require our sculptors to dress according to a theme, give our party planners a call and we’ll make the proper arrangements for you.